Graeme Base needs no introduction. Best known for Animalia, every page of every book he has illustrated so far is a breathtakingly amazing work of art! And, no wonder, considering he takes a couple of years or more to complete each book. From our favorites like The Waterhole, Jungle Drums, Uno's Garden, My Grandma Lives in Googligulch (first book Base wrote and illustrated), The Eleventh Hour: A Curious Mystery, it was interesting to note that the books are not necessarily written for the age group for which they are marketed. I remember reading an excerpt that quoted the author regarding his books: "I write them for myself in order to fulfil a creative desire and only after these considerations do I look at the requirements of a 'children's book,' whatever that might be!" 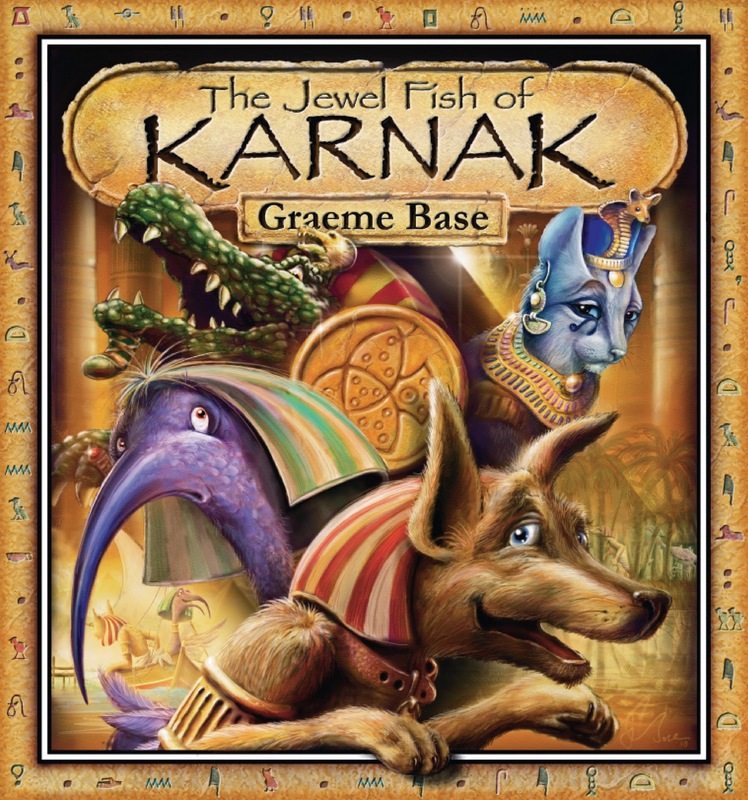 Anthropomorphic Animals and Fantasy - an irresistible combination seen in many of his books - describe The Jewel Fish of Karnak as well. 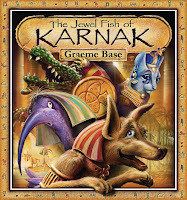 If just four main characters - a Female Feline Pharaoh, The Crocodile Prince, and two thieves Ibis and Jackal - in an exotic land doesn't sound intriguing enough, then, Graeme Base has more for you: a puzzle with clues in the story and a gorgeous last page to figure out the answer. Do not take anything else while you are in Karnak. And know that the Jewel Fish is magical. Be sure it does not get wet. If they succeed and do as told, they will be pardoned and set free. While the quest itself may not be terribly perilous, the temptations are. They are warned sufficiently. But can thieves resist thieving? Of course, not, or we wouldn't have a story. They take something they are not supposed to and so are pursued savagely by Crocodile Prince. In the confusion that ensues, Ibis and Jackal lose the Jewel Fish of Karnak in the River Nile which mingles among the other fish, hard to recover. Jackal and Ibis were not clever, were they? But I am a merciful cat. If you bring the Jewel Fish to my palace at www. 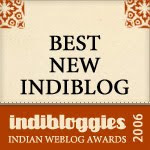 graemebase.com, I shall release Jackal and Ibis from their endless task - and reward you as well. But be warned, I shall demand proof that you have brought me the right fish! And, how exactly can we help? There is a code on the first page - a set of symbols - pictogram of sorts, which we use to find the encoded clue(s) that points us to the one and only Jewel Fish of Karnak. Did we go to the palace of Cat Pharaoh and get rewarded for retrieving the right Jewel Fish? Indeed! The inside of the jacket is full of tidbits about ancient Egypt. All in all, another fantastic book from a master. Sounds totally intriguing! And master is the word for Graeme Base! Acquired The Eleventh Hour from our local used book shop recently and spent many hours trying to solve the puzzle. What a genius the man is! p.s. : Nah, could not crack it. Had to go to the cheat sheets provided at the end for folks like me! Chox, one more book (Eleventh Hour) added to the list I'm going to look up when I visit.